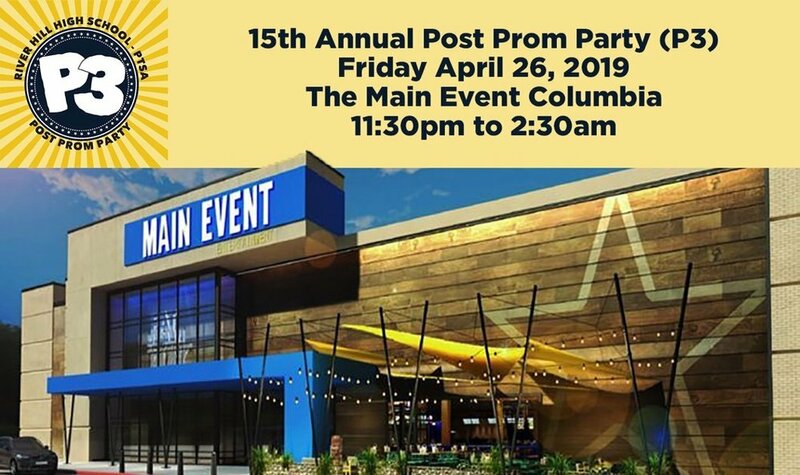 The Post Prom Party (P3) has been a tradition at River Hill High School for 15 years and has been successful in providing a safe, fantastic and fun event for all students on the night of Prom. There is evidence that ‘prom night’ safety issues are dramatically reduced in communities that sponsor AFTER PROM programs. To that end – we want to provide a SAFE and MEMORABLE event for all RHHS Juniors, Seniors and their guests to attend. Yes! DO NOT host a private party at your home the night of the After Prom. 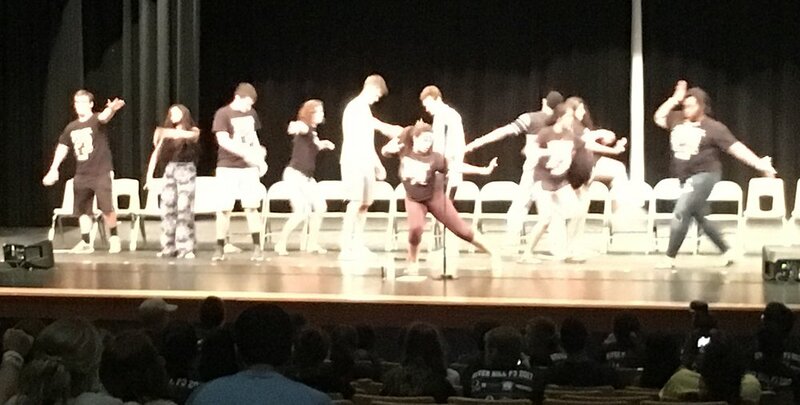 Part of what makes P3 a great event is that all Junior and Senior students attend. Automobile accidents are the number one cause of death for young people ages 12 to 19. Prom night can be a particularly dangerous time with so many teens on the road late at night. A survey conducted by Liberty Mutual found that only 20% of juniors and seniors believed being on the roads on prom night was dangerous. If they only knew that approximately 1,000 youth under age 21 die each year in preventable tragedies while celebrating their high school proms and graduations (National Highway Traffic Safety Administration). WHO: All Juniors and Seniors, as well as their dates, are welcome to attend P3, even if they do not attend Prom. COST: Tickets cost $15 each and will be available for purchase online in April. P3 is a fabulous party filled with top-notch entertainment, delicious food and incredible prizes in a safe and welcoming environment. 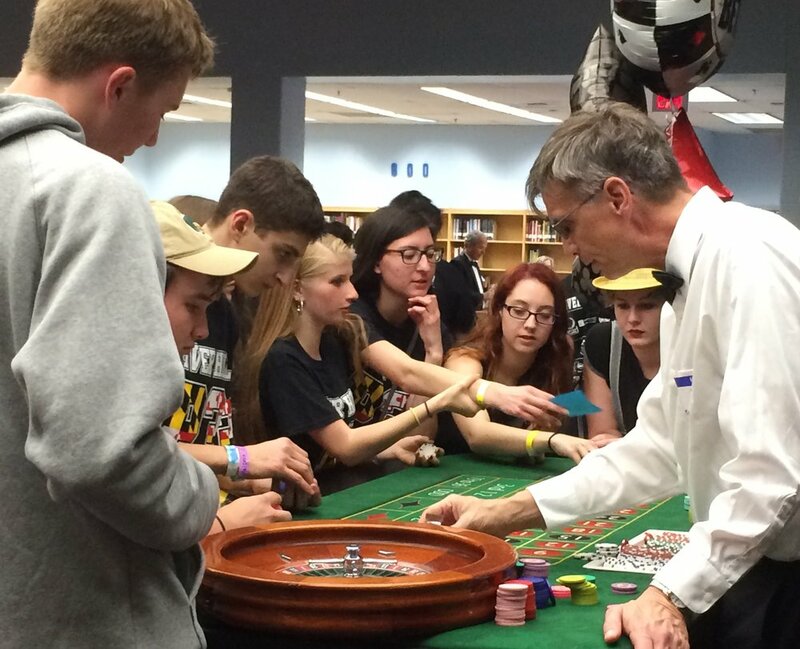 River Hill has notably had the highest attendance of any of the Howard County high school post prom parties, with over 500 students attending in recent years. We hope for even greater success in 2019.
Business sponsorships are available at levels ranging from $250 up to $1500. For more information see the enclosed business donation form. For more information on becoming a P3 sponsor, email Jen Lynott at jenlynott@gmail.com. Our P3 is funded solely by donations. Your support is critical to the success of the event. Please consider making a financial donation to invest in the safety of our students on prom night. Click here to make a cash donation to P3. We are looking for prize donations to be raffled throughout the evening as incentives to encourage the students to stay longer at the event. Please contact Beth Zaidi at bzaidi24@me.com if you would like to donate a prize. Consider helping the night of the event. 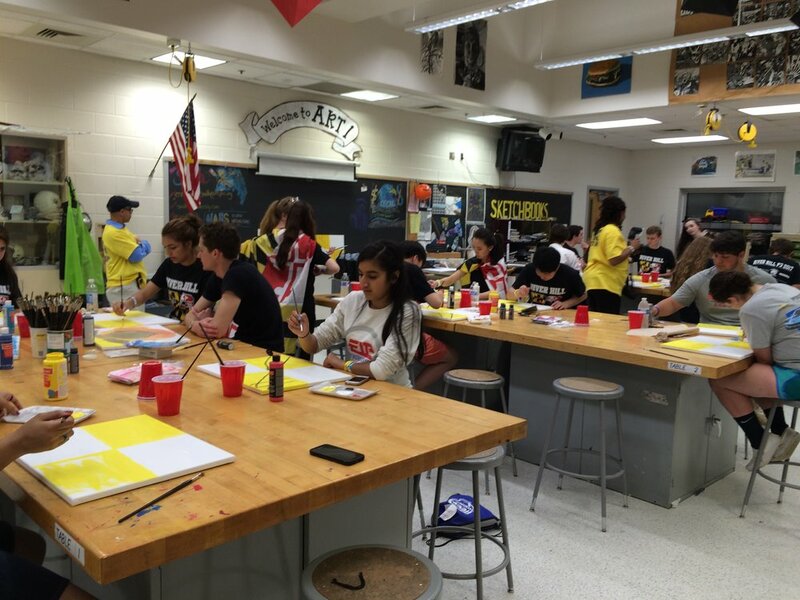 You don’t have to be a parent of a junior or senior to volunteer. Contact breckandjenn@verizon.net to volunteer. The Senior Banner Sale is our largest fundraiser of the year. This sale provides personalized congratulatory banners that hang in the school and are sent home in time for graduation. Banners can be purchased at www.varsitygraphics.net/riverhill.